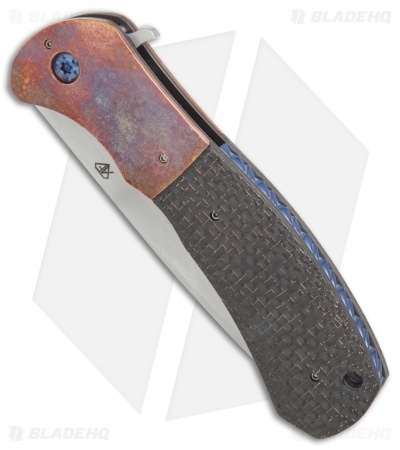 This Custom FS-1 flipper knife from Aaron Frederick offers a solid EDC design with lightning strike carbon fiber scales and copper bolsters over sturdy titanium liners and a blue anodized titanium backspacer. 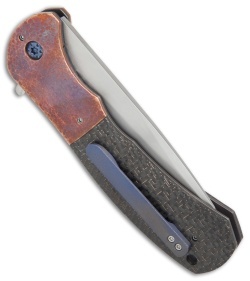 The CPM-154 stainless steel drop point blade is hand finished and expertly sharpened. 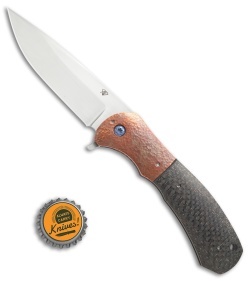 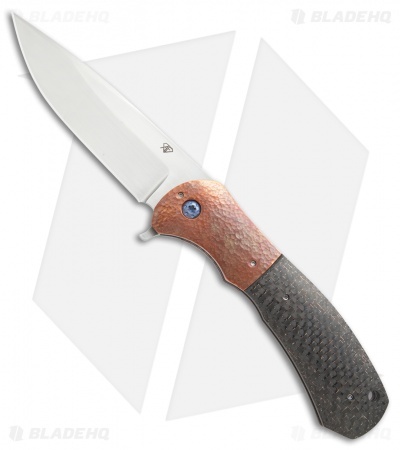 Comes fitted with a blue titanium pocket clip for secure carry.